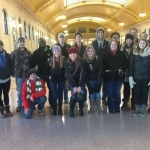 Dr. Joaquin Villanueva‘s Urban Geography class took a field trip to the Twin Cities last month. 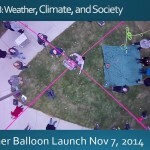 Dr. Jeff La Frenierre‘s GEG-108 Weather, Climate, and Society class, in conjunction with Dr. Chuck Niederriter and the Department of Physics, launched a weather balloon last month. Here are some photos and data collected by the balloon’s instruments. 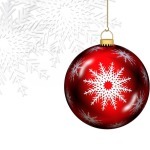 Join us to celebrate the end of the semester and the holiday season! 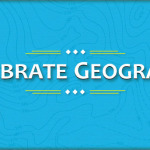 Geography Department Holiday Party Monday, December 8, 5-6pm Robert Moline Map Library (NHS 104) Friends and family welcome! Geocaching in the Arb: A Campus Treasure Hunt Prizes, hot cider, and cookies! Sat, Nov 22, 1:00-3:00pm Melva Lind Interpretive Center Linnaeus Arboretum Everyone welcome! Magnus Fredricson, Project Manager for Business Development in Skaraborg, Sweden, and Lindsay Rothschiller ’15 will give a talk on Wednesday, November 12, at 7:00pm in Olin Hall 103 on Carbon lock-in: Components, Consequences and Mitigation Strategies All are welcome. Sponsored by the Scandinavian Studies Department, Environmental Studies Program, and Center for International and Cultural Education.